E-A-Rsoft uncorded foam earplugs seal the earcanal with soft, slow-recovery foam for excellent noise reduction and reliable hearing protection. 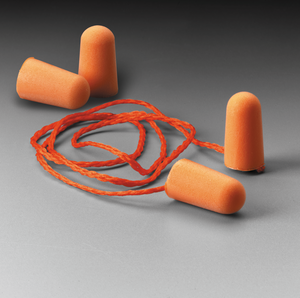 These uncorded foam earplugs feature soft, slow-recovery foam for comfort and outstanding noise reduction. Soft foam earplugs are easy to roll down and insert, then expand within the earcanal for a comfortable, secure fit. Regular size fits most ear canals. Noise Reduction Rating (NRR)*: 33 dB (ANSI S3.19-1974) CSA Class AL (CSA Z94.2) Test compatible with 3Mâ„¢ E-A-Rfitâ„¢ Validation System. *The NRR may overestimate the hearing protection provided during typical use. 3M recommends reducing the NRR by 50% for estimating the amount of noise reduction provided. 3M is Leading the Advancement of Hearing Conservationâ„¢.